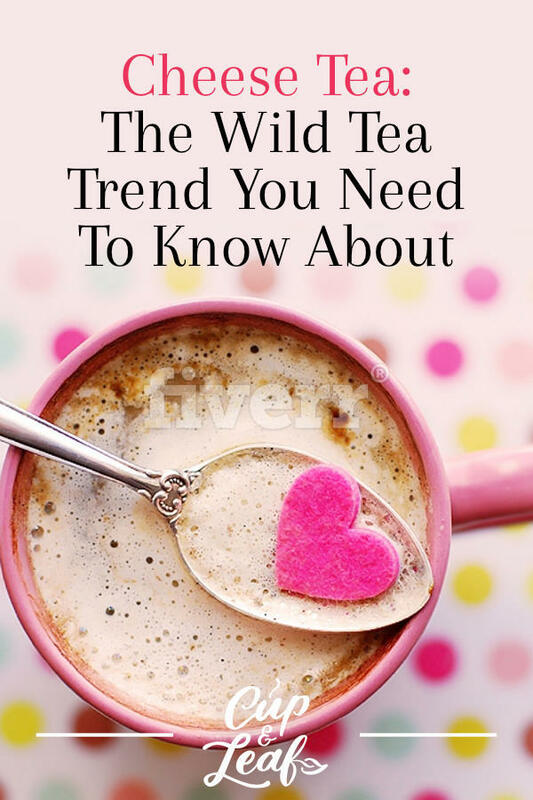 If you've been following the food and beverage industry over the last few years, you'll know that trends usually involve bizarre concoctions that actually taste fantastic. Bubble tea, peanut butter burgers, cauliflower pizza, and rainbow bagels are just a few of the latest food crazes to take the country by storm. It's no surprise that 2019 starts off with a bang and a new wacky trend: cheese tea. We know what you're thinking, now would be a good time to take back when you said you'd put cheese on anything. But just like other wacky flavors, cheese tea actually tastes great once you get past the initial shock. Read on to find out more about the latest food trend and where you can get your hands on it stateside. Cheese tea isn't actually made by steeping stinky cheese in tea. Cheese tea is actually green or black tea that is topped with a foam made from salty or sweet cream cheese, milk, and whipping cream. The drink is typically garnished with a dash of sea salt. Cheese tea is also commonly called milk cap tea or cheese mousse tea. Cheese tea is wildly popular in Asian countries including Malaysia, Taiwan, and China. In Asia, cheese tea has been around for several years, although it's only recently become an international sensation. In Chinese, Malaysian, and Taiwanese cheese tea shops, tea masters recommend drinking the beverage straight from the edge of the cup and not blending the layers. This drinking technique allows you to taste the creamy, thick texture of the cream cheese foam before it blends with the tea mixture in your mouth for a full-bodied experience. Tilt the cup to about a 40-degree angle before taking a sip. Don't use a plastic straw or you'll only get the flavor of the tea. 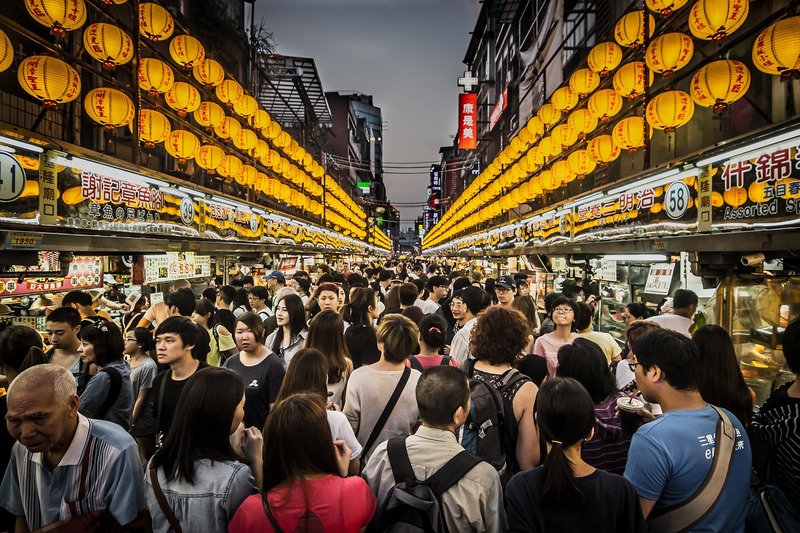 Cheese tea dates back to 2010 where it emerged as one of the popular beverages at the night markets in Taiwan. Vendors used powdered cheese, whipping cream, salt, and milk to whip up a thick, yet fluffy foam that topped a normal cup of tea. Shops such as Heytea (formerly Royaltea) and Chizu Drink were among the pioneers in serving up this extraordinary tea in Asia. Many of these tea shops use secret recipes to create their cream cheese topping. 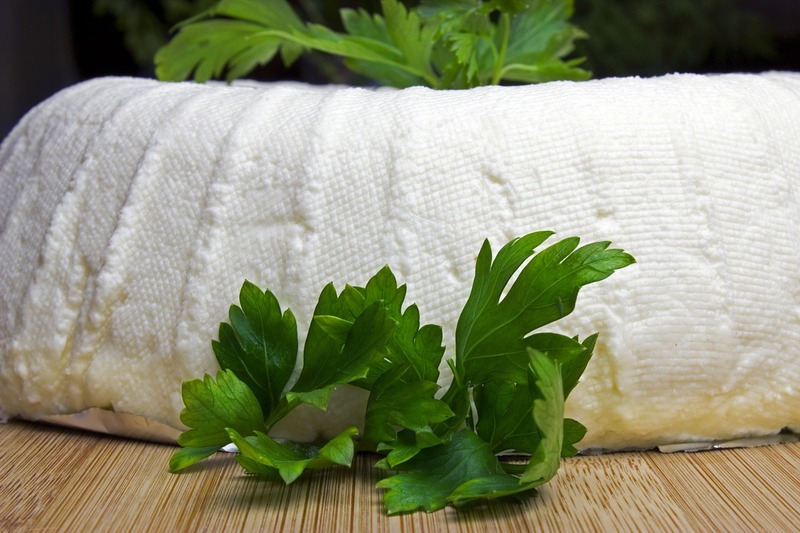 Some use cheese from Australia or New Zealand while others source their ingredients from local producers. These tea shops experimented with using fresh cheese and different types of cream cheese to create the best flavor. As word got out, people began to form long lines just to get a taste of the cheese tea and a new trendy sensation was born. The drink has become wildly popular in Asia and has drummed up interest in the United States and Europe. Kirin, a Japanese beverage company, has even developed plans to create bottled cheese tea. Last year in 2018, the beverage was predicted to become as popular as Boba. While the reality falls short of those predictions, cheese tea does continue to become more and more popular as people get over the name and more cheese tea shops pop up. Today, you don't have to go to Hong Kong or Shanghai to taste this new tea trend. Tea shops in Los Angeles, San Francisco, and New York have begun offering the concoction to adventurous tea drinkers. 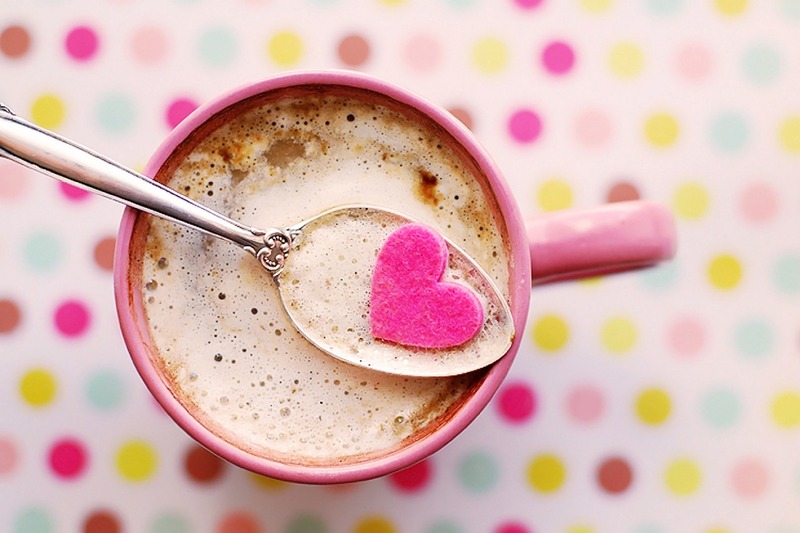 Little Fluffy Head Café was founded by Jenny Zheng and is located at 203 W 7th street in Los Angeles, California. 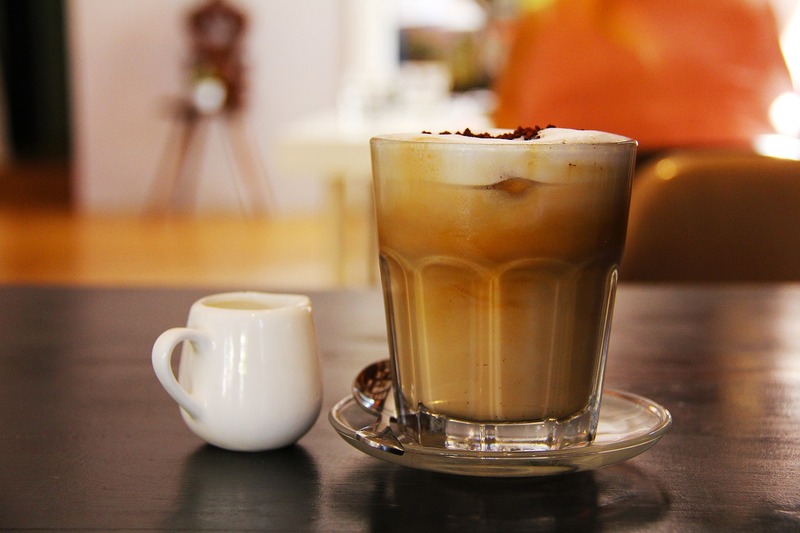 The small café offers dozens of different beverages all topped with a creamy cheese foam that offers a sweet flavor and salty finish. 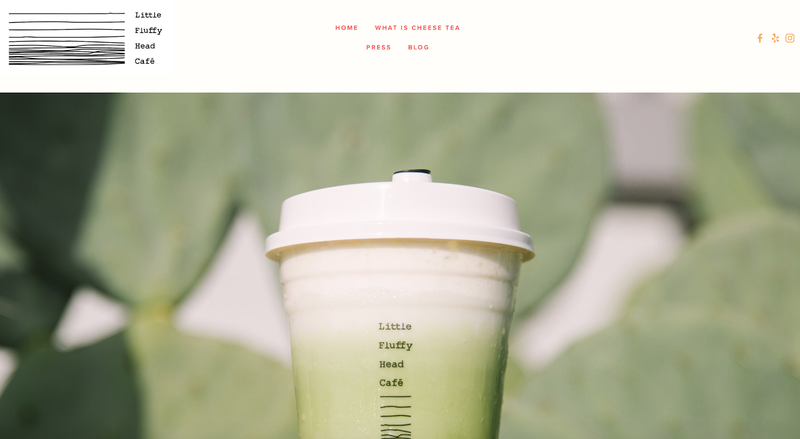 Their offerings include flavors such as crème brûlée, matcha latte, and lychee oolong. Happy Lemon is located in the Queens Crossing center in Queens, New York. 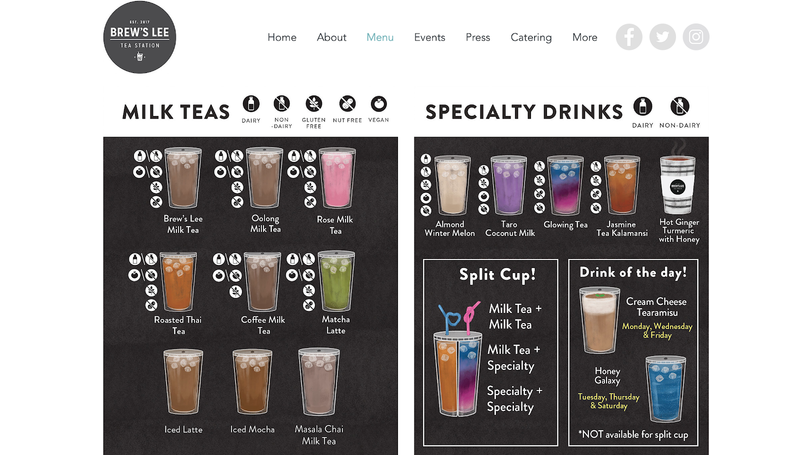 Their cheese tea offerings include black tea, green tea, milk tea, or chocolate with cream cheese foam. 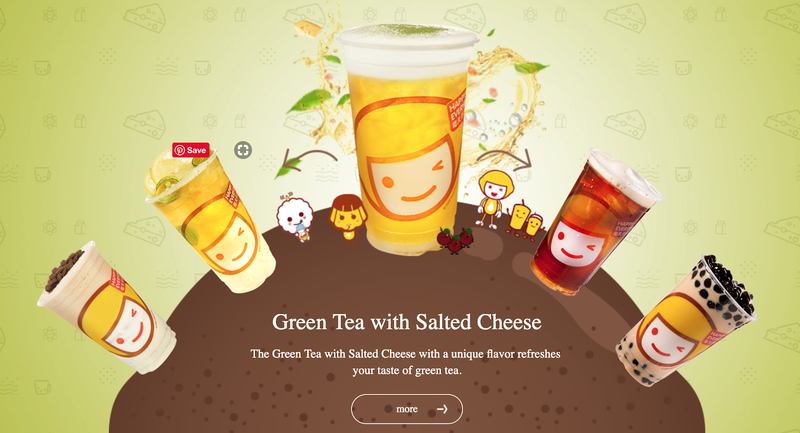 Known for their boba tea, Happy Lemon brings you the latest Asian tea craze with their cheese tea offerings. Steap is a tea shop that was founded by Emil DeFrancesco and is located in the famous Chinatown district of San Francisco. Emil uses fresh mascarpone cheese from a local Italian pizzeria to create his delightful foam. Emil has focused on American taste buds and offers cheese tea varieties with mint julep and sweet tea—flavors that most Americans recognize as homegrown. Brew's Lee Tea Station sources local cheddar cheese and combines it with heavy cream, salt, and sugar to create a light and fluffy foam topping. The owners have also invented a crème brûlée cheese version that can be added to any of their tea base offerings, which include rose milk tea, roasted Thai tea, and taro coconut milk tea. Food trends often involve weird concoctions that may seem off-putting or bizarre at first. The joy in food crazes and trends comes from trying these bizarre offerings and discovering that they are in fact wildly appetizing. Cheese tea is no exception and offers adventurous tea drinkers something to rave about in the new year. Head over to your local boba shop and see if they offer cheese tea or head down to one of the tea shops above to get your hands on the latest craze from Southeast Asia.